Can You Win with a Lost Lottery Ticket? How Do You Keep Your Lottery Tickets Safe? So You Lost Your Lottery Ticket – What Now? Believe it or not, lottery prizes worth billions of dollars go unclaimed every year. Take the Oregon Megabucks lottery as an example: In 2015 alone, the game logged $5.9 million in unclaimed prizes. Sure, most of the time, prizes go unclaimed simply because people don’t bother checking their numbers. However, sometimes it’s a more serious and difficult situation: lost lottery tickets. Yes, it happens. So what should you do when you lose yours? Different lotteries have different rules. But many have one rule in common: they’ll tell you that they’re not liable for lost tickets. 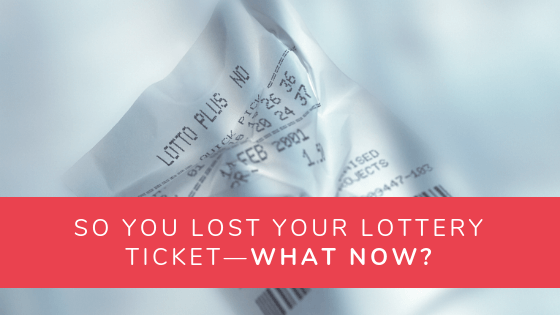 If you lose your ticket, that’s on you — and the lottery isn’t responsible for paying out on lost tickets. But some lotteries (like the UK’s National Lottery) can make exceptions. Players who lose their tickets can lodge an appeal no longer than 30 days from the relevant draw. To prove that you own the ticket, many of these lotteries will ask you to correctly identify when and where you bought it. If possible, you can help your case by telling lottery officials the numbers you played. Finally, it’ll also help if you remember what other items you bought along with the ticket. Here’s the catch: an appeal is not a 100% guarantee that you’ll get your winnings. Of course, there have been successful appeals. In 2012, for example, there was Kathryn Jones. 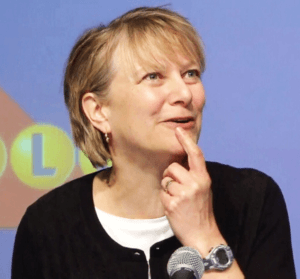 The Toronto resident was the first ever winner to have been successfully identified by the Ontario Lottery and Gaming Corporation’s claims investigation process. The winning ticket for the November 30, 2012 draw was bought at a Shoppers Drug Mart in Ontario, Canada. The winner would have been CAD$50 million richer. The only problem? No one came to claim the prize! Once word got out that nobody had claimed the jackpot, people bombarded the Ontario Lottery with claims. Funnily enough, Kathryn Jones was never one of those people. She didn’t know she’d won! Jones had lost her ticket and forgotten about it. With 435 claims on their plate, Ontario Lottery officials decided to hunt for the rightful winner. Their search ultimately led to Kathryn Jones in 2013—but that was only the beginning. Having identified a possible winner, the Ontario Lottery now needed to conduct a thorough verification process. They interviewed Jones, dug up credit card transactions, and even reviewed surveillance footage from the store! 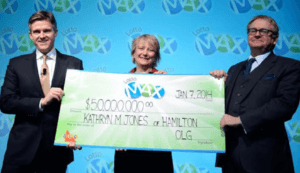 Finally, in January of 2013, Kathryn Jones received her prize. Not everybody will have Kathryn Jones’ luck, though. And not all lotteries will exert as much effort as the Ontario Lottery and Gaming Corporation! Careful storage protects your tickets from severe damage. The rules vary from lottery to lottery, but in most cases, you probably can’t claim your winnings with a torn and drenched ticket that took a spin in your pants pocket on laundry day. As for signing the back of your tickets, this helps prove that you own the tickets! Your signature won’t guarantee that you’ll get a lost ticket back, but it will keep strangers from cashing in on your loss. Otherwise, anyone can just pick up your unsigned ticket, sign it themselves, and laugh all the way to the bank! I just one in KC and lost my ticket it’s 50 million I thought maybe I got it wrong but its been almost weeks and nobody’s came forward I no that was the winning ticket I can’t sleep all I keep doing is looking for that stupid ticket. I screwed myself right? Hey Jeremiah, keep looking for that ticket! Otherwise, check if there’s any other proof of ownership you can use. Good luck. Does saving the store purchase receipt help in identifying a winning ticket ? Hey Sean, that really depends on the lottery operator. The receipt is solid proof of purchase, though, so it can only help! What happened if I washed my ticket and only have the barcode on the back what do I do? Hi, Rakia. Your lottery operator might still be able to do something with that barcode! It’s best to stop by their closest office and ask. what happens if I lost my lottery ticket or it was stolen but, i have proof of purchase and also pictures of it on my phone, plus its signed on the back with name, address and number. ??? Hey Luis, that depends on your lottery operator! Like we said, there are no guarantees. But you seem to have more than enough evidence for an appeal if you decide to file one. Hey, Mia! That’s odd. You shouldn’t need to hand over information like your fingerprints. It’s best to go straight to your state lottery commission’s office and talk to officials there about your missing ticket. Hope that helps!